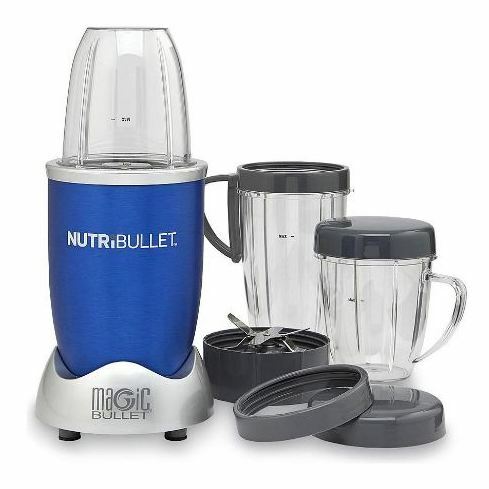 Magic Bullet Nutribullet Blender Set 8Pcs Blue NBR0812B price in Bahrain, Buy Magic Bullet Nutribullet Blender Set 8Pcs Blue NBR0812B in Bahrain. 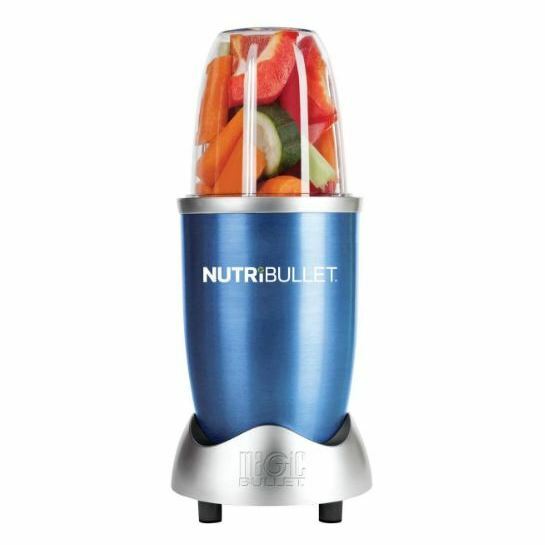 The Magic Bullet NutriBullet Blender is smart in both its looks and operations. It looks stylish with a trendy design and gray color and is so slim that you can fit it in your bag and carry it wherever you go! It even has a flip top to go lid that provides easy and comfortable hold for carrying. Its patented blade design and cyclonic action quickly extract nutrients from all foods and provide smooth and fine results. 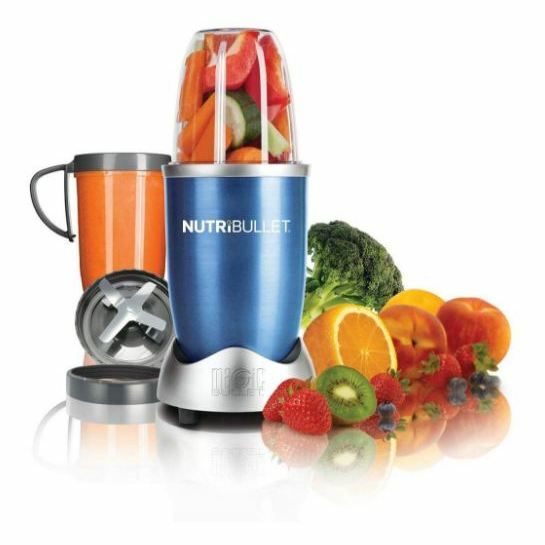 This technology efficiently plucks every nutrient to give you a healthy, tasty smoothie, juice or shake. You just need to add your favorite fruit or vegetable along with your selection of nuts, seeds, and herbs to this appliance with some water. And you instantly have an energetic drink brimming with proteins, calciums, and other nutrients. 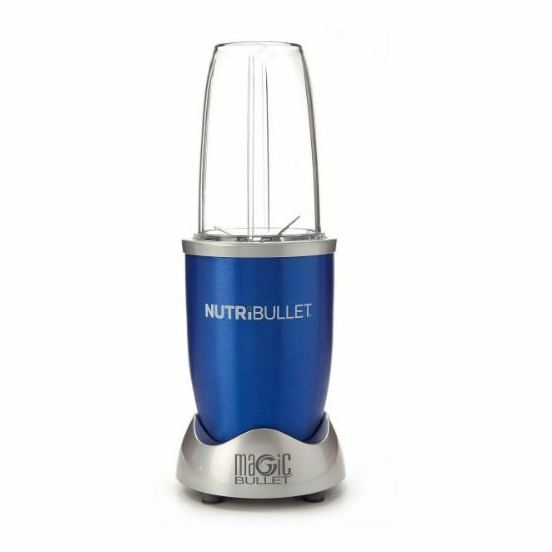 This Magic Bullet blender helps you maintain your health while keeping up to your busy work schedule. This appliance gives you satiated and nutritious drinks in less time and effort. This blender shreds, blends, grinds, and chops so you can use it to create great varieties of healthy drinks. It is an 8 piece set that includes 1 high torque power base, 1 extractor blade, 1 24 oz tall cup, 1 18 oz short cup, 1 handle lip ring, 1 stay fresh resealable lids, 1 care and instruction booklet, and 1 pocket nutritionist. 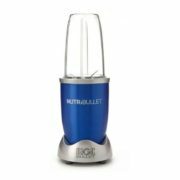 This NutriBullet blender has a patented blade design and uses a 600W motor with cyclonic action to give you precise and healthy results. It breaks down and pulverizes seeds, stems, skins that hold most of the nutrition to give you a truly enriching drink. 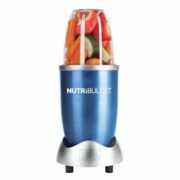 Just fill up the countertop blender with your needed vegetable or fruit and add some water to it to start the juicing and extraction process.The Magic Bullet NutriBullet Blender is smart in both its looks and operations. It looks stylish with a trendy design and gray color and is so slim that you can fit it in your bag and carry it wherever you go! It even has a flip top to go lid that provides easy and comfortable hold for carrying. Its patented blade design and cyclonic action quickly extract nutrients from all foods and provide smooth and fine results. 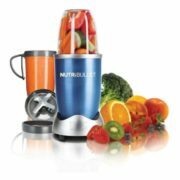 This technology efficiently plucks every nutrient to give you a healthy, tasty smoothie, juice or shake. You just need to add your favorite fruit or vegetable along with your selection of nuts, seeds, and herbs to this appliance with some water. And you instantly have an energetic drink brimming with proteins, calciums, and other nutrients.